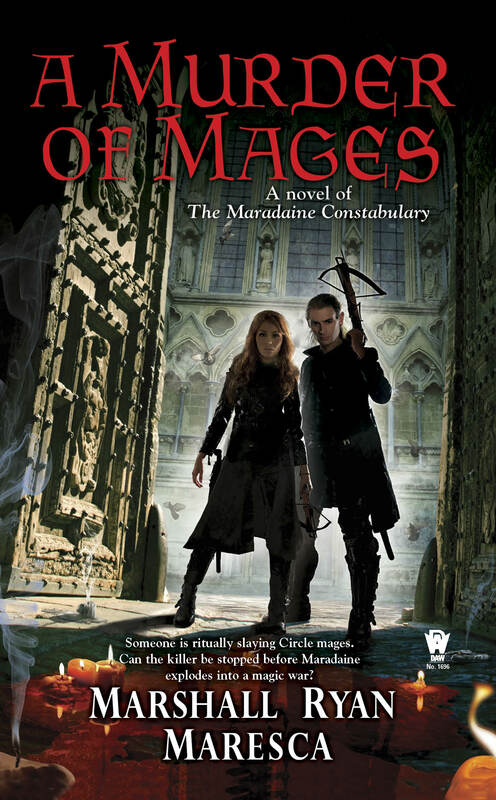 With A PARLIAMENT OF BODIES coming out in just a few weeks, I think it’s appropriate to look a bit at the backlist and what’s led up to this book. 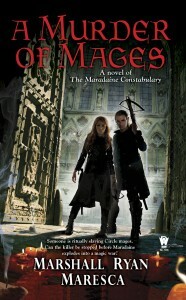 Primarily, the first two books of the Maradaine Constabulary series. 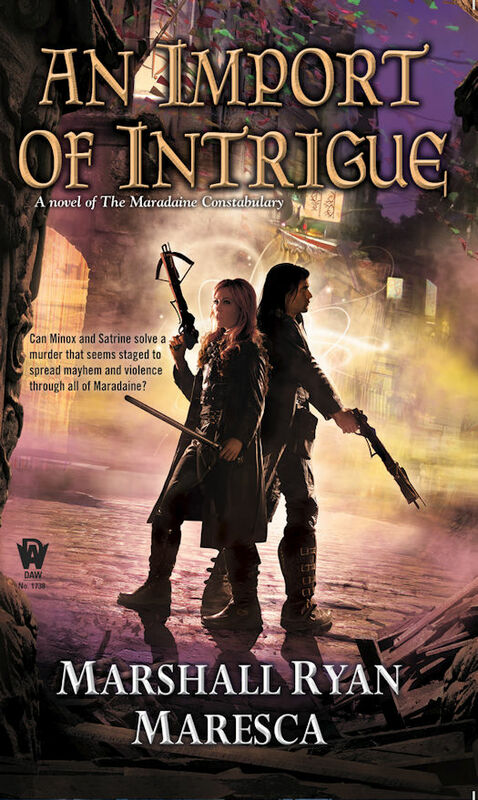 Blending high fantasy, murder mystery and gritty urban magic, this series features Inspectors Satrine Rainey and Minox Welling, two detectives in the city constabulary who protect Maradaine from crime, both magical and mundane. Minox Welling: Brilliant Inspector. Uncircled Mage. Outcast of the stationhouse. Partnered with Satrine because no one else will work with “the jinx”. But it would be remiss to leave out novels in the other series that lead up to this one as well! 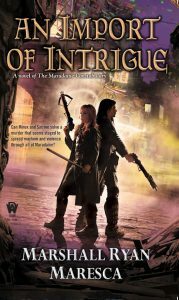 The Imposters of Aventil features Satrine and Minox as they investigate the murder of a constable and the Thorn’s involvement, and the events of that book echo into Parliament. Also, as the inspectors team up with Dayne Heldrin of the Tarian Order, it wouldn’t hurt to check out The Way Of The Shield as well. And there may be threads to Streets of Maradaine. It wouldn’t hurt to read them all. I mean, just to be safe.